We are looking forward to featuring your business at all the home games. The cheerleaders will pass these out to the fans in the stands. It is because of businesses like yours that we are able to keep this tradition alive. 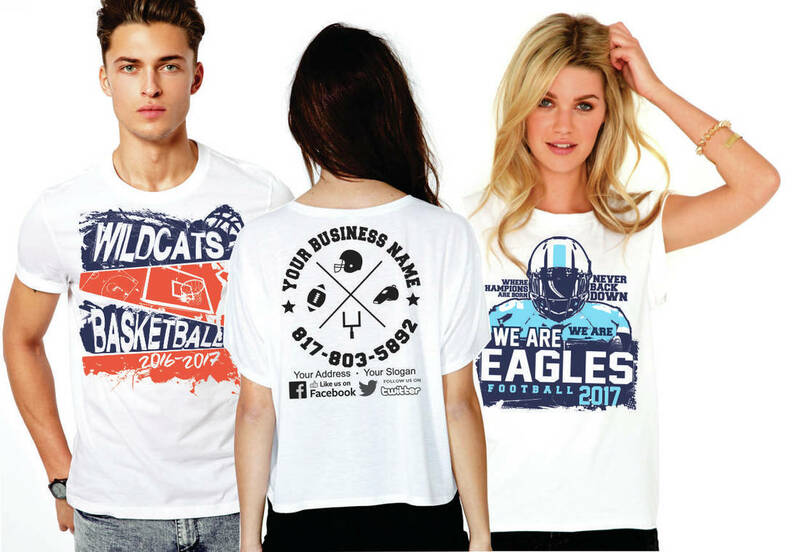 The front of the shirt will have the school’s design and you will have the entire back for your custom ad, a huge 12"X12" space! We will work with you on a custom design that will look awesome. It is because of businesses like yours that we are able to keep this tradition alive.